On arrival at Jaipur airport / railway station, transfer to your hotel. In the afternoon visit City Palace Museum, Hawa Mahal, Jantar Mantar and the Pink City area and Chokhi Dhani- a traditional Rajasthani village in the evening. Overnight stay at the Jaipur. 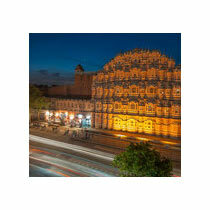 After breakfast check out from the hotel and drive to Pushkar, one of the most important pilgrimage places of Hindus. which is famed for having the only temple dedicated to Lord Brahma in the world. Visit the famous Brahma Temple and if you are lucky, you may be able to witness the famous camel fair of Pushkar too. Take a holy dip in the Pushkar ake and visit its 52 bathing ghats and more than 500 temples, each having its own legends of miraculous powersand powers of healing and displaying variety of architectural styles, visit Dargah Sharif at Ajmer in the evening. Overnight stay at the Ajmer. After breakfast, proceed to one of the most romantic cities of the world Udaipur. En-route visit Chittorgarh Fort- Ranakumbha, Meera Mandir, Vijay Stambha and Padmini’s Palace. 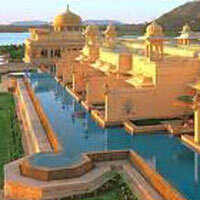 On arrival in Udaipur check in to your hotel. Enjoy the evening at leisure. Overnight stay at the Udaipur. After breakfast proceed for a sightseeing tour of Udaipur. This includes a City Palace, Sahelion Ki Baari, Garden of the Maids of Honour’ Maharana Pratap Smarak, Unique Crystal Gallery. Enjoy the Light and Sound show in the evening. Overnight stay at the Udaipur. Today you shall drive to the greener part of Rajasthan amidst the Aravalis to Mount Abu, which is the only hill station in Rajasthan nestled in the picturesque Aravali hills Upon arrival check in at your hotel. Later visit the famous Dilwara Jain temples. These temples were constructed between 11th and 13th centuries. After the visit proceed to Nakki Lake. This artificial lake isringed by hills. In the evening take a stroll down the bazaar up to the Sunset Point from where you get a wonderful view of the setting sun. Overnight stay at Mount Abu. After breakfast, visit Prajapita Bramha Kumari Ashram and drive to the Sun City, Jodhpur. On arrival, check-into your hotel. Jodhpur is the second largest city in Rajasthan and is also known as the blue city as most of the houses of the old city are painted blued. During your Jodhpur tour, you visit the Mehrangarh Fort which was built on a steep hill. The fort is among the best in India with exquisitely latticed windows in residential complexes. Later visit the JaswantThada a royal cenotaph built in white marble and Ummaid Bhavan Palace Museum. Overnight stay at Jodhpur. After breakfast, drive to Jaisalmer. On arrival check in to your hotel. Jaisalmeris famous for its carved havelis (rand mansions) and is a marvel of beautiful culture, its also one of the most exotic cities in India. Overnight stay at Jaisalmer. After breakfast, go on a sightseeing tour of the city. The Stunning Jain temples inside the Sonar Quila, the palace museum inside the Jaisalmer Fort, which exhibits a rich collection of imperial dresses and artifacts belonging to the royal family of Jaisalmer and havelis with convoluted designs and latticed wind the city. Late in the evening, drive about go 40 kms away from Jaisalmer to Sand Dunes and enjoy the camel cart ride to the Sunset Point and Sam Sand Dunes. Take the camel safari and explore the true life and delights of the desert. Overnight stay at Jaisalmer. After breakfast check out of the hotel and drive to Bikaner on arrival check in to the hotel. Visit Deshnok Rat temple of Karni Mata and Asia’s biggest Camel Research Farm and Museum to watch different Camel breeds and baby Camels. Overnight stay at Bikaner. After breakfast sightseeing tour of Bikaner city. Visit Junagarh Fort, built in 1611 AD. 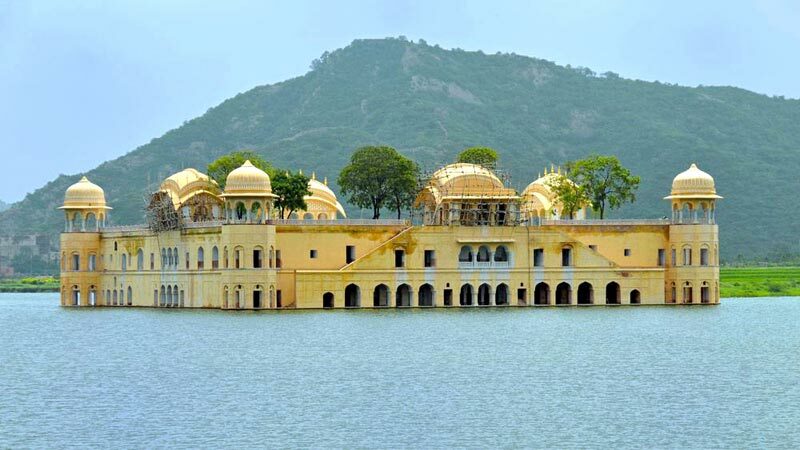 The palaces worth visiting are Anup Mahal, Karan Mahal and Bijai Phool Mahal . Later at noon drive to Jaipur. Evening check in the hotel. Overnight stay at Jaipur. Day 11: Departure from Jaipur. After breakfast, proceed to visit the Amber Fort, Amber was the ancient capital of Kachawaha dynasty before Jai Singh founded Jaipur, Birla Mandir, Sanganeri Printing Showroom. Later check out of the hotel and transfer to the airport/ railway station to for your onward flight/ train with wonderful memories.